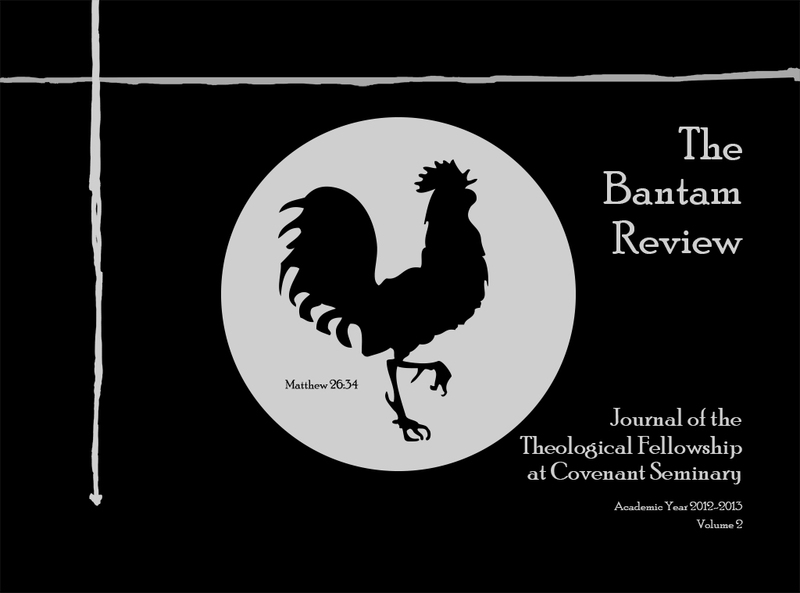 Mosissimus Mose: Bantam Review, Vol. 2, received! 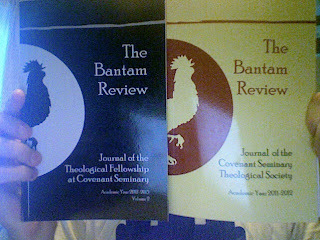 Yesterday, I received my copy of The Bantam Review. 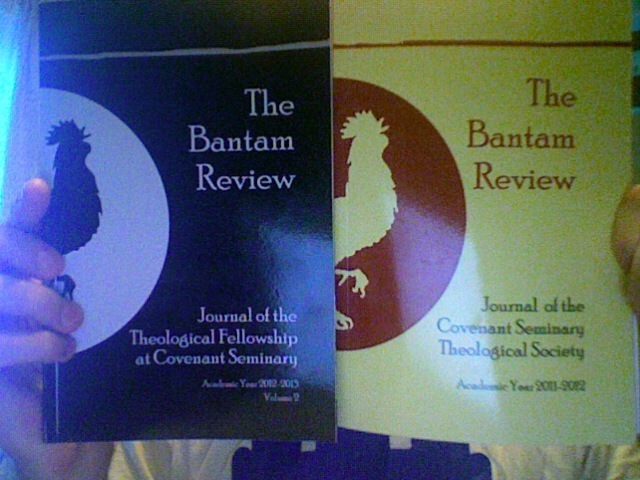 The BR is a publication of the Theological Fellowship @ Covenant Seminary. The review is published under the authority of the two co-chairs, Daniel Robbins (MDiv), and Phil Ryan (MDiv, 2014). The editor in chief is Arthur Keefer, for the second year. Arthur has put together a very profession looking journal. This year the journal adds a new dimension. This year book reviews are included. It was a good add to the journal; both beefing it up a bit, and providing a peer forum for academic review of scholarship. As stated in the past, the papers included in the journal are Covenant Seminary student papers that were deemed the best papers at the annual theological conference put on each January by the theological society (this conference includes many institutions of higher ed. - Wheaton Graduate School, Saint Louis U, Concordia Seminary, Trinity College, Bristol, etc., but to stay within its goals and purposes the theological society only publishes Covenant student papers, since it is a ministry for Covenant Students primarily). One exception may be David Richmon, who I believe is a '09 alumnus, which would be a change in focus of the publication of papers that the co-chairs have the right to make, but could have been explained in the preface (see contents of vol. 2 here). Again, as will be attested in this volume, the success of this group could not have been successful without the willing participation and direction of Dr. Robert Yarbrough and the participation of the faculty of Covenant Seminary. Many presented their latest research at the conference, and many more shared their higher education insights at monthly campus-wide conversations put on by the fellowship. Congratulations to the leadership of this group for another great year, and exceptional publication! I am excited to see how the new leadership takes on the '13-'14 academic year. See the pics for images of the Bantam Review vols 1& 2. If you would like to order one, contact Daniel Robbins at dfrobbins@gmail.com. They are only $5 and they directly support the fellowship to further the future of rigorous and Christ-centered research and education.